The End of the Year Celebration will feature food trucks, fabulous games, and lots of time for friends to celebrate the 2017-18 school year. Join us on the playground from 12-2 p.m. on Friday, June 1. 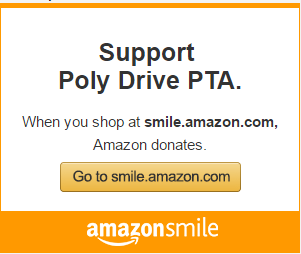 Poly Drive PTA sponsors this celebration for our Poly Drive community. Enjoy the great activities (free with signed waiver) and tasty treats available for purchase, including gourmet hot dogs and grilled cheese sammies, and Summer Snow frozen treats. Games will include a climbing wall, free photo booth, and game truck. Adult volunteers are needed to help with the games. Please go to bit.ly/pdspring2018 to volunteer. Parents are required to be present during the celebration. FAQs can be found here: EOYC FAQ 2018. For more information, contact/text Jourdan Guidice.